That’s the new project of Hunter Hunt-Hendrix, most famous for being the brain behind the American black metal band Liturgy: Kel Valhaal. Borrowing the name from a song on “The Ark Work”, the latest of his other band’s albums (more on that later), it completely lets go of the black metal aesthetics in favour of a completely electronic soundscape, along with clean, monotonous vocals. While most of Liturgy’s work can be labeled as metal, The Ark Work did go into extremely experimental territory, abandoning harsh vocals and bringing in the sound of bells… lots of bells. Kel Valhaal has been around since 2010, according to Hunter himself, but is only seeing a release this year, in July. Described as “the logical agency of faith and acephalic becoming in the The Ark Work, a gesamtkunstwerk which lives at the threshold between philosophical materialism and religion”, the name Kel Valhaal first appeared as the third song on 2015’s The Ark Work. In typical Liturgy fashion, the song is filled with horns, bagpipes, glockenspiel and bells of sorts and follows a rhythmic pattern making it sound like a marching band. 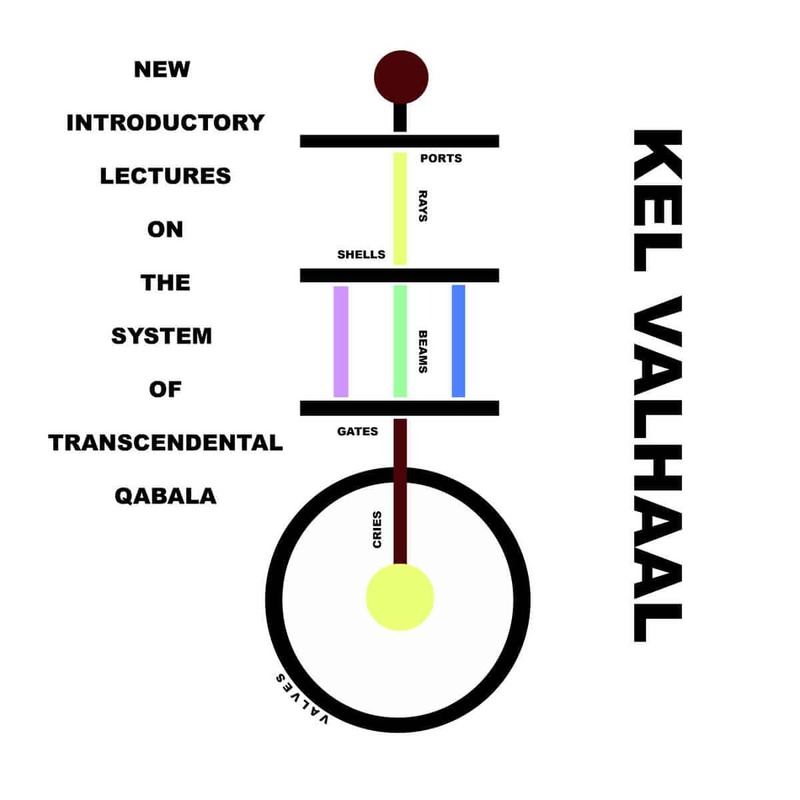 When the vocals do come in, they are monotonously chanting on obscure philosophical concepts, like pretty much all the rest of the album, and also all of New Introductory Lectures on the System of Transcendental Qabala, which is today’s topic. As for the German term gesamtkunstwerk, it can be roughly translated to “total work of art”, and it was first coined by philosopher Karl Friedrich Eusebius Trahndorff, but became more associated with Richard Wagner and his works. The idea behind that concept is that a piece of art should make use of many, if not all, forms of art in its making. While I can understand their fascination with the concept of artistic synthesis, I don’t see how Kel Valhaal applies it to their music. Before talking about the music, a word on the artwork. What is this? Searching “Qabala” only refers to itself or to the Kabballah, esoteric Judaic teachings on Hebrew scriptures. This could very well be where the term stems from, though, but having no knowledge of Judaism, I’ll not venture there too much. The rest of the cover art is very minimalistic and probably homemade too, on Hunt-Hendrix’s own Microsoft Paint software. 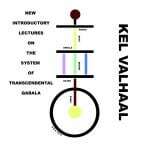 It seems to me that it’s a schematization of the system of transcendental Qabala, based on their own description of it. According to them, the aim of the project is to create catharsis in the listener’s mind by merging electronic music, rock, rap, and classical music into one, thus achieving a “creative-emotive state” leading to the production of tears. Even if it’s incredibly self-important and conceited, I can see the tears being represented by the clear blue circle annotated “cries” on the cover. For the rest, however, I have absolutely no clue as to their meaning. In addition to this, the video for Tense Stage adds another stratum to the already obscure sectarian imagery; it even features a tardigrade, of all things. On to the actual music, now. The first track, Mea Culpa, opens the album rather unceremoniously, with a heavily edited and pretty weird melody, with some background noises. But once this is over, and Tense Stage – the single they chose to promote the album -, comes in, we’re greeted with low and loud electronic bass which is joined in by various instruments adding rhythm and melody. You get but a taste of what Kel Valhaal is about, here. The vocals start atop truly cathartic synths and a pounding bass, in a simple 3:2 polyrhythm. This song gives a pretty good idea of the project, so I’m glad they chose this one to promote the album. After a short interlude, NMWE, comes my favourite song on the album: Ontological Love. It begins with harsh bass synthesizers with a pretty complex 4/4 subdivision pattern that is best understood once the drums come in, in a typical dance music fashion. The relaxed beats then give way to spastic ones synchronizing with the upper, bells-like synths. I love this song for its twisted and winding rhythmic patterns as well as few melodic experimentations. It’s the longest song on the record, but they could’ve shortened it a bit because when we finally arrive at the midway point, where the vocals begin, the excitement has worn off quite a bit. The vocoder voice makes everything reach a climax near the end of the song with what I guess is a rhythmic fugue between the hi-hat and the bass drums. During the second half of the album, World music beats are imported but only superficially, on Kairos, and bells are brought back on the interlude-like Bezel I. Bezel II, on the other hand, offers a satisfying album closure, full of chiptune keyboards and heavy, hyperactive electronic beats, and culminating in a flurry of over-edited passages layered on top of another. In the end, it’s an ambitious and well-executed experimental electronic dance music album. When the beats hit, they hit hard and from all angles, but you’re left just wanting more. It is a bit short once you cut out the filler pieces, but it is of great quality, and it offers something unique enough that it creates a need, a craving for more that only they can quench. The lo-fi synthesizers complement the crushing bass and complex rhythms perfectly, and so do the sparse and monotonous vocoder passages. The three great compositions cannot completely mask the four other, lacklustre, pieces, even if they do outrun them in terms of length. In any case, I strongly suggest you listen to this album once it’s available for streaming and make your own mind about it. As for me, I appreciated it quite a bit.